We Move We Deliver. Established in the year 2007, completing a decade service in the industry, we, “Vishwam Logistics” is one of the most trusted organizations engaged in Logistics. Our Logistic Services are known for being planned, reliable and cost effective. Our Logistic Services are known for being planned, reliable and cost effective. We are backed by a team of expert professionals, which is engaged in rendering transport Services to the clients. Vishwam offers you the reason to expect beyond. 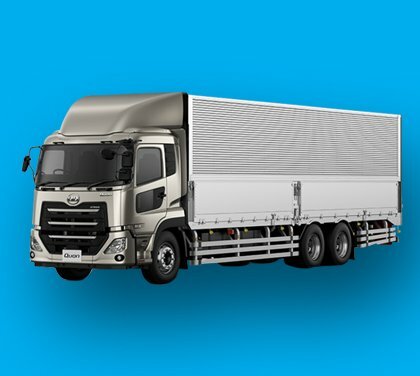 Headquartered in Bengaluru, Karnataka, Vishwam Logistics are engaged in rendering total logistic solutions through dedicated vehicle transportation services such as Industrial Goods Transportation, Food and Confectionery Products, Commercial Goods, Professional packing and moving of household goods and Car transportation services. Apart from these, we also provide Insurance Coverage and door to door transport for our customers. Vishwam Logistics offer containerised truck services, throughout India for transporting valuable goods like Electronic products & accessories, Harmless Medicines, Consumer products etc. to ensure that your goods are safe till the destiny. Vishwam also provides refrigerated container trucks for minus degree transportation of medicine & perishable food products to nation wide. Vishwam logistics offers part load services on reasonable price and quick delivery to countrywide on safe handling mode, this means no transhipments will take in between transit. Once the truck gets loaded from clients place or from our Hub centres the same vehicle will deliver the shipment to customer door at delivery locations. Hence this service benefits customer from damages, leakage & shortages of their goods. Vishwam logistics do total logistics solutions for their customers by Ware housing, storage and distribution services across the nation by AIR, SURFACE & TRAIN. Vishwam logistics offers reasonable and quick relocation solutions countrywide, we are one of the most reliable and reputed name in the movers and packers industry. Having several years of the industry experience and expertise, we take care of car transportations through our specialized car container trucks. Insurance coverage is a must while transporting all kinds of goods. In-spite of the best packing and safe transportation, factors beyond our control like accidents, fire, sabotage, riots etc can result in damages to the goods. Hence we repeat "Insurance is a must". Vishwam Logistics provides Trailors and ODC trucks for project loads and over dimension shipments to nation wide. Vishwam logistics provides Air service for cargo that is time sensitive, perishable or temperature controlled. We ensure to deliver customers cargo on time. Vishwmam Logistics supports its clients thru Rail service for quick and cost effective logistics solutions. Professional packing and moving of household goods and Car transportation services. Apart from these, we also provide Insurance Coverage and door to door transport for our customers. Our strong backed team ensures your goods are delivered on time. Best rates in the industry, get true service for what you pay. Trust on us, we promise to deliver your cargo intact and on time. #84, Transport street, Opp K.R. Puram Railway Station, Dooravaninagar Post,Bangalore - 560016.